Telangana State Road Transport Corporation is the largest Govt Operated bus services in India. Find TSRTC Bus Timings from different locations like Hyderabad, Warangal, Karimnagar, Khammam, Nizamabad, SRISAILAM, VEMULAWADA, BASARA, Bangalore, Mumbai, Chennai, Pune, Shirdi, Tirupathi, Yadagirigutta, Bhadrachalam, Mahbubnagar, Nirmal, Visakhapatnam, Vijayawada, Kakinada, Rajahmundry, Vizianagaram, Srikakulam, Ongole, Nellore, Guntur, Eluru, Kadapa, Kurnool, Chittoor, Tirupathi, Anantapur and more destinations. TS RTC bus timings for Garuda, vennela, Indra, Meghdooth, Deluxe, Express, Pallevelugu, City Ordinary. Telangana RTC runs buses in major cities of India and all districts & villages in Telangana. TS RTC Booking portal helps the users to make bus booking from different location to location within few steps, at the same time you can cancel your tickets on your finger tips. According to the Telengana State Road Transport Corporation, commuters have a limitless opportunity to handle their booking procedures entirely online. This is a notable reprieve on the part of initially inconvenienced local bus users who couldn’t put in place travel arrangements without visiting a TSRTC agency. However, this wonderful web-based opportunity still requires a traveler to know a few TS RTC time table facts and processes in order to make the most out of the unprecedentedly useful booking online facility. As such, this article highlights the most noteworthy TSRTC customer-related guidelines that should help them tap into the new internet-based bookings and other vital transportation details. Continue reading to learn some extremely essential user steps about Telengana RTC, plus a host of incredibly vital bus pass provisions and precautionary tips for interested travelers. To begin with, it’s quite necessary for punters concerned about RTC bus timings and key bus pass stipulations to first know the major routes covered by Telengana RTC. This is primarily where would-be commuters are encouraged to constantly visit the official webpage for up-to-the-minute service packages and payment/refund terms and conditions. Going by the existing TS RTC time table information, the currently available bus services operate between Hyderabad and Bangalore, Bangalore to Hyderabad, Vijayawada to Hyderabad, Hyderabad to Vijayawada, Hyderabad to Chennai, Chennai to Hyderabad, Hyderabad to to Srisailam, Srisailam to Hyderabad, Bhadrachalam to Hyderabad, Hyderabad to Shiridi and vice-versa, Tirupati to Hyderabad. Check TSRTC Bus Timings for all major cities and each district of Telangana. Besides these fundamental RTC bus timings and routes, there is Karimnagar to Hyderabad and back and a couple of other long-term and interim local bus travel packages. In a similar vein, it’s strongly prudent for successful ticket booking customers to tour the Telengana RTC online platform so as to continually look at their ticket status up to their final departure. This will enable them to get timely updates regarding their past bookings and also learn about any regrettable glitches such as inevitable changes in the RTC bus timings. Moreover, commuters would want to cancel their bookings as a result of understandable last-ditch inconveniences can also visit the main webpage and quickly apply for speedy ticket cancellations. Nonetheless, one ought to provide their identity particulars, basic receipt details such as the booking number, as well as their mobile phone numbers. 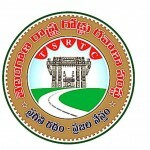 Finally, the Telengana State Road Transport Corporation’s entirely web-oriented facility acts as a resourceful hub that provides all the needed bus commutation service information to individuals who have already done their booking as well as interested customers merely seeking important consumer insights. As such, punters looking for any in-depth stipulations and user-focused guidelines can get further clarification about ticket cancellation rules, driver-related info, and a painstaking description about the umbrella state bus transportation body.